As can sometimes happen it starts off as a nice straight forward job, a new set of wings, a few repairs, the odd panel etc then ends up being a complete re-build, this was one such time! 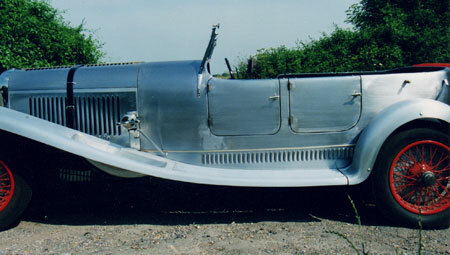 With this project unfortunately there had been a number of previous repairs that had to be scrapped. Now and again you’ll find people in the Classic/Vintage car world that have hung around for a number of years who may pick up a few things then all of a sudden they’re propped up as these ‘experts’ which is misleading, this was a classic case. 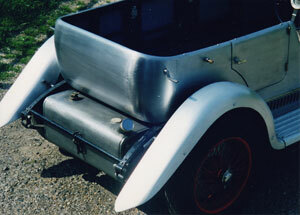 For example, the fully restored petrol tank was sadly just patched up. Regrettably I had to let the client know the tank was simply not fit for purpose, in fact to demonstrate this I pushed my biro pen right through the tank itself. This wasn’t the only issue but the danger here resonated with me for obvious reasons. With the sad start behind us, the build progressed well. We had excellent relations with this client who said he had every confidence with our services and would regularly visit our premises for updates. Normally the M45 has steel wings but on this job we produced aluminium wings, we upped the gauge to help give them more rigidity. 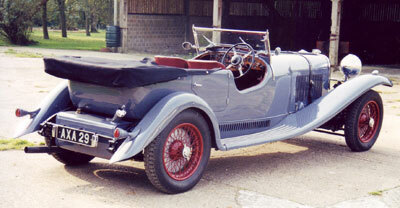 The body, front valance, skirts and bonnet tops were of course steel but the bonnet sides were aluminium. This client also asked for side skirts and we incorporated these nicely with matching bonnet and front valance louvers. The car had a nice theme. My employees and former students Matt Edley and Ben Andrews worked closely with me on the project.